A single storey 'character' building located on Eastgate Street in Stafford town centre and adjoining the 'Asda' roundabout on the ring road. The property has been fully refurbished to create quality offices together with basement parking. On-street parking is also available on Eastgate Street. Located on Eastgate Street in Stafford town centre and adjoining the 'Asda' roundabout on the ring road. Toilets - Two toilets including disabled facility. The basement has been converted to provide parking for 5/6 small/medium sized vehicles. The property is available to let on new lease for a term of three years, or multiple thereof on a tenants effective full repairing and insuring basis at an initial rent of £22,000 per annum exclusive of rates, VAT and other outgoings. The property is assessed at RV £19,000 with effect 1 April 2017. 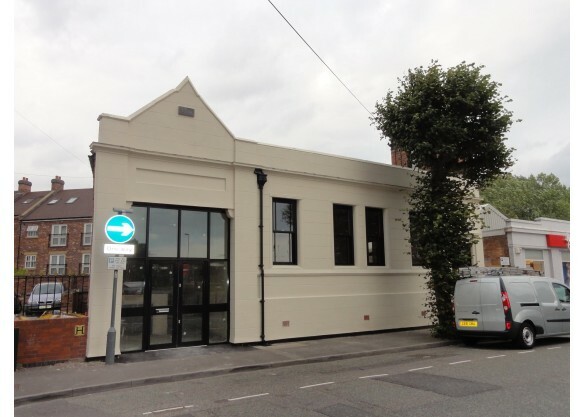 The property is currently occupied as offices but is also considered suitable for other commercial/retail uses subject to any necessary planning/other consents. Each party to be responsible for their legal/other costs in documentation. Rent and other payments will be subject to VAT.